This was such a fun prompt. Most of these are books I’ve already read and adored for the way they transported me to other places, but a couple I’ve yet to tackle and just look wonderful! All of the book covers link to their Goodreads pages in case the travel bug bites you, too. I adore this book to pieces. 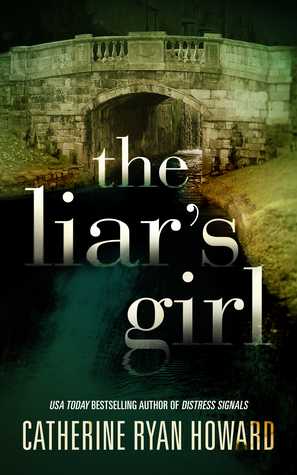 It’s far from your typical thriller; instead, it’s a character-driven slow burn where the mystery is incidental to the exploration of Alison’s character, both then as a freshman in love with Will Hurley, and now, a decade later, still unable to come to terms with the heinous crimes he has committed. The writing is also gorgeous and descriptive, and I loved the picture it paints of Dublin. Welcome to the magical underworld of Venice, Italy. Here, hidden canals and crumbling rooftops shelters runaways and children with incredible secrets…. Fun fact, when I was in elementary school, I read this book once a day every day for two weeks straight. Real talk, though, I love Cornelia Funke’s novels, and the charm of Venice from this ragtag group’s perspective still warms my heart to this day. Okay, so only part of it takes place it Thailand, but this book is so beautiful and absolutely begged to be included. This is such a poignant exploration of family, identity, and acceptance, and it’s forever going to be a favorite of mine. The portion of the book set in Thailand also gives me major nostalgia for when I spent six weeks living there myself – the descriptions of the cultural differences and the raw beauty are spot on. Yes, I know South America’s not a country, but I’m counting this because it’s one of my favorite books ever, and I really wanted it on this list even if there’s never an actual country name given. I’m long overdue for a reread, but I remember falling in love with the intricate relationships between the captors and hostages – none of whom expected to end up in the situation they’re now stuck in. 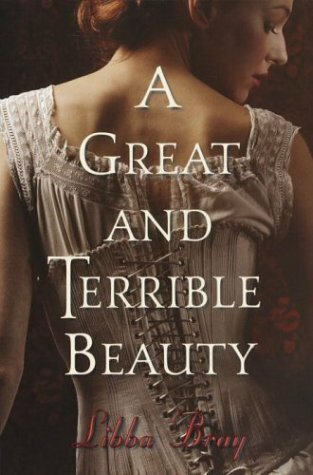 Kelley Armstrong is hands-down my favorite author, and I will read anything she cranks out. This is a fact. 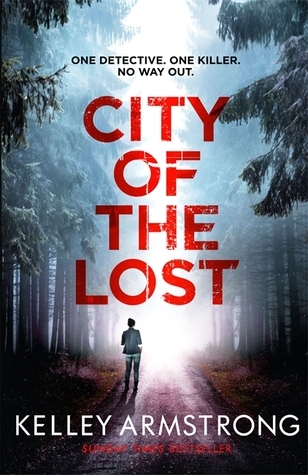 City of the Lost and its follow-ups are turning out to be one of my absolute favorite series that she’s written – the plots and characters are so strong, and I love the creatively claustrophobic and isolated setting of the Rockton town. The third book in the series, This Fallen Prey, is sitting on my nightstand side-eyeing me so hard whenever I pick up another book that’s not it. High key loved Warcross. High key raced to pre-order Wildcard last night. This is such a fun and immersive adventure with descriptions as vibrant as its cover and a wonderfully diverse cast of characters. I had a lot of fun losing myself in the virtual worlds in which they competed – and in the real world, with virtual reality layered over the bustle of Tokyo. I can’t wait for more of Emika and her teammates this fall! I know that it takes place all over Europe, but I also haven’t read it yet, so thanks Goodreads and plot synopsis, France it is! I’m really excited to give this one a go, but I’m possibly even more excited for the next book, The Lady’s Guide to Petticoats and Piracy coming out later this year. Um, it sounds amazing?? The Dry and its sequel, Force of Nature, are some of the most gorgeously atmospheric novels I’ve ever read, in completely contrasting ways. 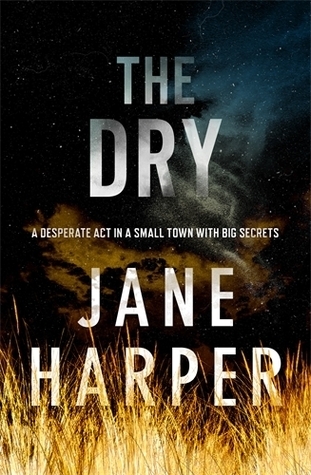 Jane Harper’s writing is fantastic, and I can’t wait to see more of Falk and his Australian adventures in the future. I haven’t read anything by Laini Taylor yet, and I’m well aware I need to fix that! I honestly didn’t realize part of the setting in this series is in Prague, which is really neat. In terms of starting Taylor’s writing, any opinions on whether I give Daughter of Smoke & Bone or Strange the Dreamer a shot first??? In this debut gothic novel mysterious visions, dark family secrets and a long-lost diary thrust Gemma and her classmates back into the horrors that followed her from India. This series made me feel Emotions when I read it like a decade ago, and I can barely remember anything except for a) I loved Libba Bray’s writing, and b) I sobbed for hours at the end of the third book. I am honestly so curious now and want to do a reread to remember why I loved it so much! But I also have several other Libba Bray books on my TBR and can’t wait to get to those. This was such a fun list to put together! I love traveling to new places in the pages of a book, and it’s even more exciting when it’s somewhere I’ve been before (like Thailand, and it takes me back) or somewhere I want to go to (like Australia, when can I book my flight??). I’m always on the lookout for more books that take place abroad – do you have any recommendations? Any of these books on your own shelves? Check out That Artsy Reader Girl’s host post for even more inspiration! My list is on Blogger. Awesome, hope you find some new ones to enjoy! Mind leaving a plain text link to your post? I’d be happy to check it out! Looking Forward to Checking These Books Out. Great Reviews! Thanks Peg! I’ll be on the lookout for your thoughts if you give any of them a shot 🙂 Happy reading! 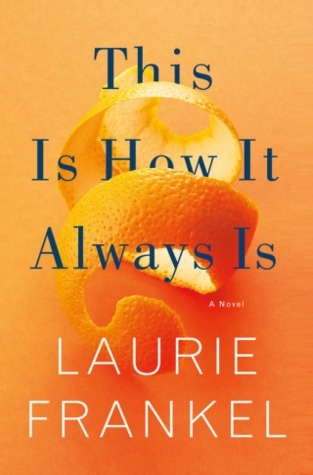 I don’t know about you but I kind of want an orange now re: cover for This is How It Always Is hahaha. I’ve never had a chance to try Kelley Armstrong even though I’ve seen her numerous times in book talks (the benefits of Canadian events always bringing Canadian authors back here!) but like you, I know so many people who have enjoyed her works! Okay but that book started a tangerine fad in my apartment so I feel you!! Um, I’m so jealous you’ve been to a bunch of events she’s spoken at. Get on her books already! 😂 I love basically everything she’s written. “This Is How It Always Is” sounds like a fantastic read. How did you first discover that book? Thanks! It really is a great book. It came on my radar thanks to being a nominee for Best Fiction in the Goodreads Choice Awards last year, and I’m so glad I read it. One of the things I love most about these linkups is the diversity of books that people select. I am only familiar with one of the books on your list, The Dry, but it’s interesting to see the other selections as well. 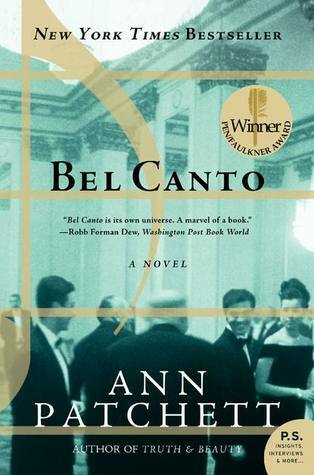 Bel Canto is fantastic! I’m so glad to hear that 🙂 I hope you enjoy all of them 😀 Happy reading!! I see Daughter of Smoke and Bone on a lot of lists for the Prague setting, and to be honest I’d like to read about PRague too. Sounds like a fascinating city! 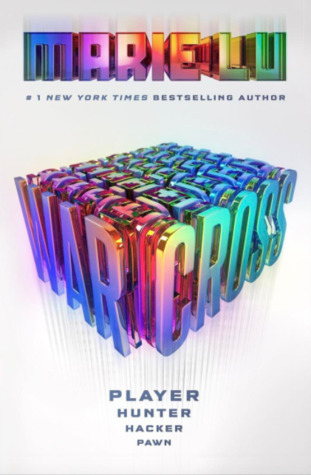 Loved Warcross too. And Ireland and Canada- yup. I love the City of the Lost series, and the first one was my first Kelley Armstrong book. Needless to say I’m a fan now! 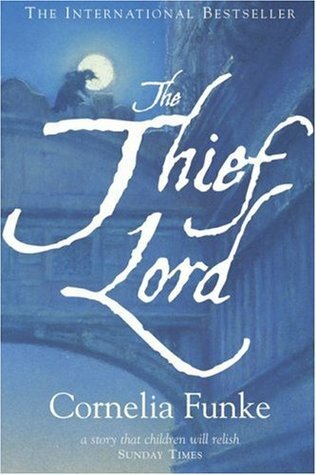 Since I haven’t read it yet, I was so surprised to see it was set in Prague, and it makes me want to read it all the more! I’m also super excited to hear the City of the Lost series has made you a Kelley Armstrong fan! I’m just about to start the third book, and I’m so excited!! I’m adding some of these to my TBR list!! Great options! Great list! Daughter of Smoke & Bone is on my list as well. It is one of my favorite series. 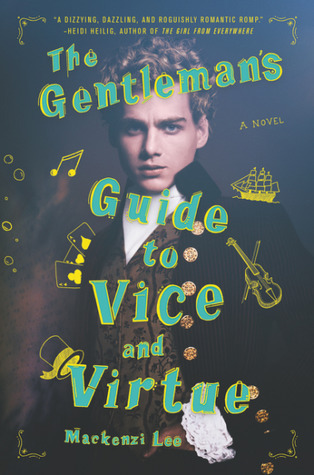 The Gentleman’s Guide to Vice in Virtue is currently sitting on my nightstand waiting to be read. Also, I rarely every see any other Kailas. Hi! *waves* Do you pronounce your name like “Kyla” or “Kayla”. I’m the later. I would really love for you to check out my post and blog as well. Have a great day! 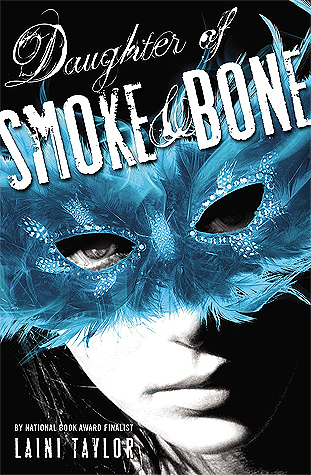 Daughter of Smoke and Bone was on my list this week too! It’s making its way onto a bunch of lists! Guess that’s a sign I really need to make time to read it! So many awesome books! I need to read Daughter of Smoke and Bone as well! (I’m hoping to start it next week) but I’ve already read Strange the Dreamer which was FANTASTIC! I hope you enjoy it once you get to it! Thanks so much! I keep hearing wonderful things about DOSAB & The Gentleman’s Guide, can’t wait to get to them!! OK silly question and you are the lucky recipient, LOL! If I were to want to participate in this top 10 Tuesday do I need to go to the above blog and do I get the prompts every week? And how far ahead of time do you get them? Ha! Always feel free to fire silly questions away at me 🙂 The first time I link to That Artsy Reader Girl in this post, it’s a link to a page about the meme in general – and it has a list of past and upcoming prompts so you can plan ahead if you want! I think there’s prompts through June up right now. Each week, she posts her own TTT list with an Inlinkz compilation of everyone participating, and you can add your own blog post! That’s why I love that they’re posted so far in advance — sometimes it’s hard to come up with books for them!! Well I do like that you can alter them a bit to fit, it looks like a lot of fun, I should give it a try!